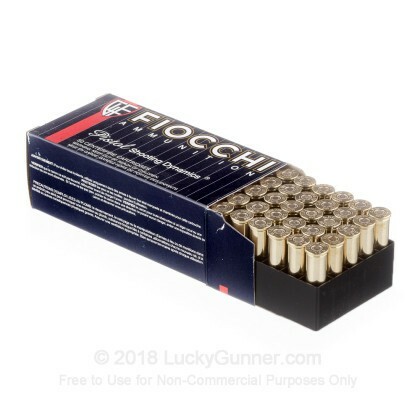 Fiocchi is a well known European cartridge producer that has continued to build its reputation as a quality supplier to the U.S. market. Its product is excellent for use in training, target practice, or just fun-loving plinking. 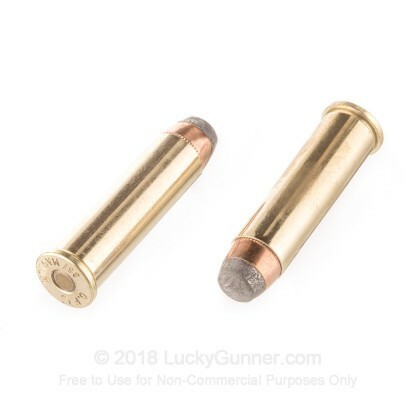 This ammunition is brass-cased, new production, non-corrosive, boxer-primed and reloadable. It is consistent, reliable, and affordable. I've been shooting handguns for over 35 years, and this is some of the most powerful and accurate .357 magnum ammo that I've encountered in that time. It shoots like a dream out of my 6" GP100, delivering great accuracy, along with an impressive muzzle blast. I highly recommend it! 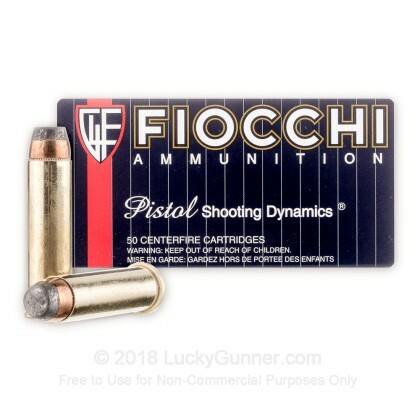 Been running several different flavors of Fiocchi .357 mag for about a year now. Always the hotter loads and through a scoped 6in GP100. After a few thousand rounds I can say with some confidence they function dependably and perform consistently. They compare favorably to higher priced ammo. The delivered price is in fact better than locally purchased. And LG delivery time has become akin to Amazon Prime. Couple days and it's here. So far no downside here. If you need something to wake up the neighbors with... try these - they are LOUD and pack a wallop. I use these for both my plinking and my home defense. 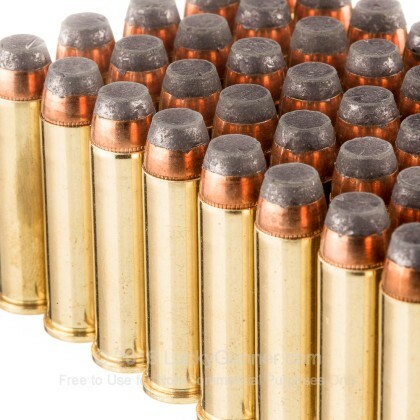 As a matter of fact, my S&W 586 is loaded with this ammo right now in my safe ! I've shot many different types of 357 magnum bullets. These shells are the best yet, if you like feeling the power in your hand when firing a 357 magnum. They are very loud and have a big kick. I shoot a box of 50 out of my Ruger Security Six every Saturday morning. Lucky Gunner delivers to my front door usually next day or two day max. Reliable shots, no duds. After 200 rds. not too dirty at all. The fire breathing dragon of 357 mags, very accurate very loud and powerful. Expect a 6'' muzzle flash. They went through my S&W 357 great, no problems. The shipping was fast. I will order here again. Ruger GP100 - consistent, clean. No duds so far, shoots consistently, clean. 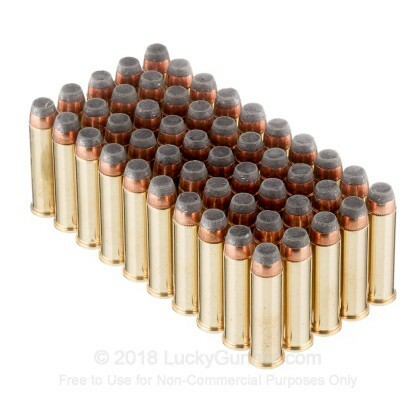 Taurus 608 no problem with this ammo. I used these in my S&W 686 and they fired great. No issues. I would purchase again. Only reason I did not give 5 stars in thew value is that they are not over priced, but still expensive. Please click here for our current in stock specials on .357 Magnum! 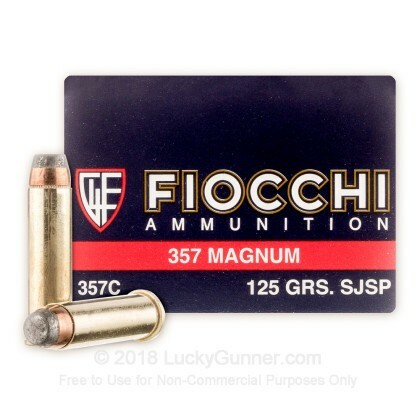 We also have this 357 Mag - 125 gr SJSP - Fiocchi - 1000 Rounds ammo in stock in a bigger quantity.